A Manitoba study has found the amount of radiation patients receive from a CT scan can vary widely and should be reduced to better protect against the risk of cancer. CBC News obtained the study through a freedom of information request to CancerCare Manitoba. The study recorded the dose of radiation to patients getting a CT scan at 13 Manitoba hospitals and compared that to similar surveys done elsewhere. The researchers found that the average effective radiation dose for abdomen-pelvis scans was 21 per cent higher than in Saskatchewan and 15 per cent higher than in British Columbia. For a chest scan, the radiation dose for Manitoba was three per cent higher than in Saskatchewan and 25 per cent higher than in B.C. Despite the radiation doses being somewhat higher, the study concluded they are still comparable to those in the other provinces. The Manitoba survey authors, Idris Elbakri and Iain Kirkpatrick with the University of Manitoba, used data from 100 consecutive CT scan patients at each of the participating hospitals from May to August 2010. "This study identified CT sites with relatively higher doses [where hospitals] could take steps to reduce patient risk through either protocol optimization or the proper utilization of dose reduction features available on the scanners themselves," the authors wrote. The results of the survey have been reported to each hospital but the report does not identify which hospitals had lower or higher radiation doses. A former Winnipegger who teaches in radiology at the University of North Carolina, Dr. Richard Semelka, said having the newest machines and methods is crucial for patient safety. "I think we're seeing in the Manitoba data that probably some of the higher ranges are from older equipment and older approaches. So you want to be imaged on new equipment with new approaches," Semelka told CBC News. The machines in the survey ranged in age from three to 10 years old. Dr. Sandor Demeter, head of nuclear medicine at the Health Sciences Centre in Winnipeg, said even though some machines are older, they are all safe. "Even though there are some differences between them and the difference might vary by patient weight and the different protocols, I think they are all as safe," he said. The authors noted there were many obese patients represented in the survey data and larger-than-average patients would receive a larger dose of radiation in order to get a clear diagnostic image. The study notes CT — computed tomography — has become an invaluable tool for diagnosing medical conditions but there is increased worry because in recent years several international studies have linked CT radiation to cancer. In the 2009-2010 fiscal year, Manitoba patients underwent more than 160,000 CT scans. For patients who will need a number of scans during the course of their illness, the study said cumulative radiation doses can be quite large and could reach the threshold associated with an increase in cancer risk. The point is not lost on Winnipegger Ion Parrish, who has been battling cancer for 35 years. In that time he has had more tests than he can count. Recently, it flared up again and in the last 2½ years, he's had 13 CT scans. "My urologist has laughingly said in the past that one of these times I am going to light up, I've had so many," Parrish told CBC News in an interview. "I would like to know where in the city or the province I could get a lower dose of radiation as opposed to the older machines that produce the higher rate," Parrish said. The study noted that new technologies to reduce radiation dose were being introduced and several CT scanners were slated for replacement. Last month, the Manitoba government announced a number of upgrades to diagnostic imaging equipment in the province, including new CT scanners at the Grace and Selkirk hospitals, as well as a new cardiac CT scanner at St. Boniface General Hospital. Participation in the Manitoba dose survey was voluntary and 13 of 16 hospitals took part. They include the Health Sciences Centre, St. Boniface, Concordia, Misericordia, Grace, Seven Oaks, Victoria, the Children’s Hospital in Winnipeg, as well as the hospitals in Brandon, Selkirk, Steinbach, The Pas, and Thompson. Dr. Semelka praised the Manitoba researchers for undertaking the project because it will provide the reference data to allow all hospitals to improve their practices. But patients still need to inform themselves and ask questions before undergoing a CT scan, he said. "The reality is that information is always the best protection," said Semelka, who has long advocated that patients be informed of the risk of cancer before a scan is done. 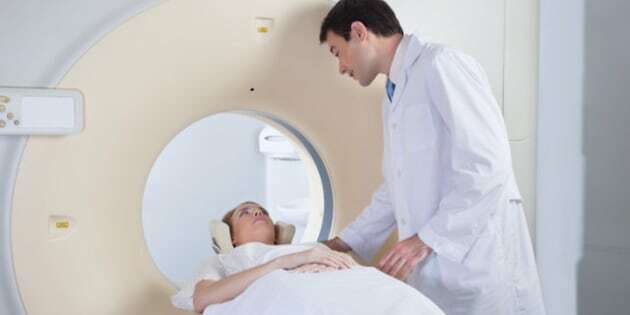 He points out there are occasions when different diagnostic tools, such as ultrasound or magnetic resonance imaging (MRI) that don’t produce radiation, could be used for diagnosing. "Patients really have to be their own advocates, and parents really have to be advocates for their children. So the first question to ask is, 'Doctor, do you think this procedure is necessary? Are you doing it as safely as possible? Is this the newest equipment, and are there safer alternatives?'" The authors of the Manitoba survey are planning a follow-up study in a year or two to evaluate whether radiation doses have improved since this first project.